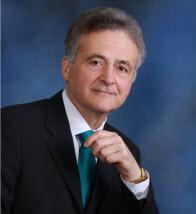 Mr. Amoni has been practicing law since 1977, is a member of the Illinois State Bar and Federal Trial Bar. Mr. Amoni has an AV preeminent rating (Martindale-Hubbell ® peer review rating); a Top 100 Illinois Trial Attorneys rating (American Trial Attorneys Association). Mr. Amoni has been recognized as an Illinois Super Lawyer, and is an associate member of the American Board of Trial Advocates. He has served on the Civil Practice and Tort Law Committees of the Illinois State Bar and the Civil Practice Committee of the Kane County Bar Association. Mr. Amoni has attended Allerton Civil Practice Conferences and the Illinois Supreme Court "Future of the Courts of Illinois" Conference. He has been a frequent lecturer on various continuing legal education seminars involving torts and civil practice. Mr. Amoni has a BA from the University of Illinois, 1973; and a J.D. with honors from Chicago Kent College of Law, 1977.